Making your stay even more memorable is easy with HolidayExtras.com's extensive range of Birmingham airport hotel upgrades. Add a cooked or continental breakfast at one of our specially picked hotels, treat you and a loved one to an upgraded room, or add a bottle of champagne for that extra special occasion - the choice is yours. All you need to do is pick your Birmingham airport hotel, then tailor your stay to however luxurious or convenient you want it to be. What Birmingham hotel upgrades are there? We offer a range of Birmingham hotel upgrades to complement your hotel stay. At the Novotel Hotel Birmingham Airport, you can fill-up before your flight and add an English breakfast to your booking. 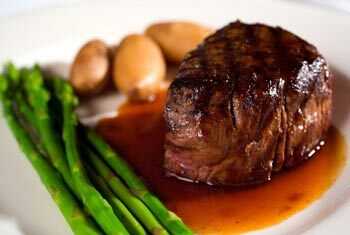 At the Crowne Plaza Birmingham Airport, you can add a mouth-watering three-course meal to your reservation. You can even upgrade to an executive room and enjoy one free in-room movie and a free minibar. At the Coventry Hill Hotel Birmingham, an early start is made easier when you can add a continental breakfast to your stay. If you're travelling with a baby, you can even add a free cot when you make your booking. With all hotel bookings, you can carry on that holiday feeling and book one of our airport lounges. You'll be able to relax before your flight and enjoy the complimentary drinks and snacks. Why pre-book your Birmingham airport hotel upgrades? Adding dinner to your stay means not only will you save money, but you can relax at the hotel the night before your flight. When you wake, especially if you have an early flight, the last thing you'll want to do is leave on an empty stomach. Booking a breakfast in advance means you can have it all sorted for arrival - one less thing to worry about. 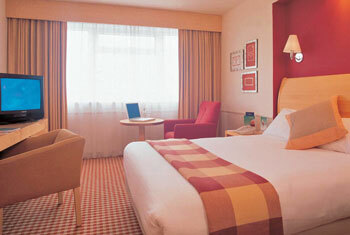 If you really want to make your stay that little bit more special, upgrading to a superior room is the way to go. Upgrade before you leave and know what you're getting. It'll be the perfect way to surprise a loved one.